What's Behind The Success Of 'Despacito'? 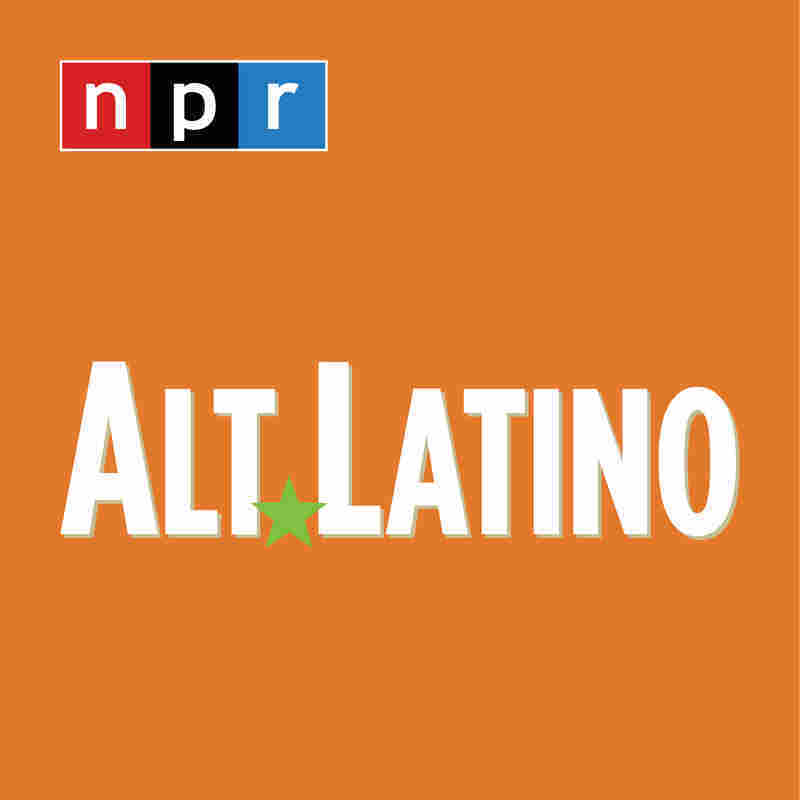 : Alt.Latino "The whole world is singing in Spanish," says singer Luis Fonsi. How the mainstreaming of reggaeton, the ubiquity of streaming services and some queasy culture clashes gave us the song of the summer. 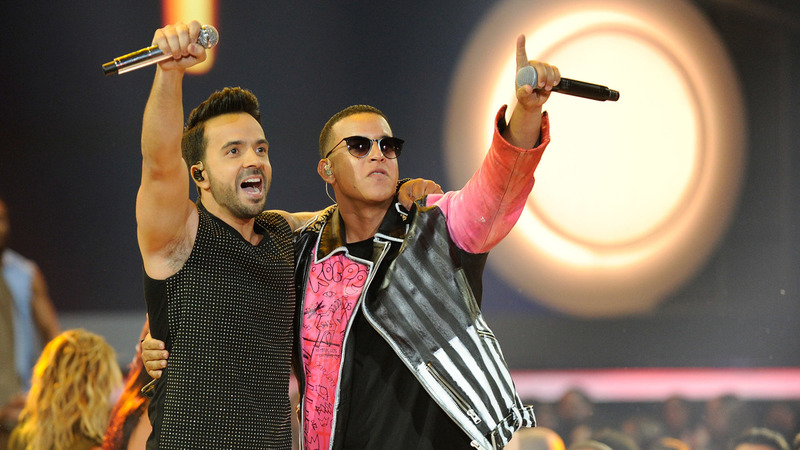 Luis Fonsi and Daddy Yankee performing "Despacito" onstage at the Billboard Latin Music Awards 2017. We've all heard it — on the radio, on the streets, in the grocery store. The song "Despacito" by Luis Fonsi and Daddy Yankee been streamed over 4.6 billion times, and has kept its number one spot on Billboard's Hot 100 since before the official start of summer. Fonsi, the song's singer and songwriter, says he's ecstatic that the No. 1 in the world is in Spanish. "The whole world is singing in Spanish," he says. "We have everybody Googling, 'What does Despacito mean?'" "Despacito" was originally released in January of this year and quickly began climbing the global charts to become an international hit. When Justin Bieber jumped on the song's remix this spring, it gave "Despacito" the boost it needed to hit No. 1 in the US. The song has also brought up conversations about the power of crossover culture. Fonsi is far from the first Latin artist to cross into the mainstream, though his predecessors typically did so in English. "'Despacito' was just the song that exploded through the door," Fonsi says. "But I give a lot of credit to amazing artists who have done these kinds of fusions in the past, like Ricky [Martin], Enrique [Iglesias] and Shakira." "Despacito" also broke records this summer as the most-streamed song in history. Jesus Lopez, President and CEO of Universal Music Latin Entertainment, says that streaming has played a big role in the song's success, partly because it makes more information available about how many times a given track is played. "Before, you cannot see how the market was working because of the piracy. On the charts you only saw the official sales," Lopez says. "Now you can see all the consumption of the music on the charts." Rocio Guerrero, Spotify's Head of Latin Culture, says that "Despacito" is one of a growing number of cross-cultural team-ups she's seen lately, including collaborations between Romeo Santos and Drake, and J Balvin and Pharrell. "I think 'Despacito' creates even more buzz about something that was already happening," Guerrero says. "This is something that didn't happen overnight — we've been working really hard for many years to push the Latin culture to the forefront of the music business." Given the Unites States' current political climate, however, Fonsi says he thinks it's significant that "Despacito" is in Spanish. "The timing is quite perfect, you know, in this environment we live in," he says. "I don't want to turn this song into a political environment, because it's not. It's a great song to make us feel good. But in the times that we live, where some people want to divide and want to build walls — we're going through a lot of change, so it's quite lovely that a Spanish song is No. 1 right now." Not only is the song in Spanish — it's in the style of reggaeton, a genre born in Puerto Rico that mixes hip-hop with Jamaican dancehall music. Petra Rivera-Rideau, assistant professor of American Studies at Wellesley College and author of Remixing Reggaeton: The Cultural Politics of Race in Puerto Rico, says that reggaeton "has endured a lot of attempts to get rid of it." The music, she says, was created in working-communities where many identified as black and/or close to Afro-diasporic culture. "The communities that were associated with [reggaeton] culture were also communities that were stigmatized by the Puerto Rican government," Rivera-Rideau says. "They were targets of anti-crime initiatives in the mid-1990s that represented [them] as chaotic, perpetrators of violence, tied to drugs and all kinds of stereotypes. So reggaeton became a cultural symbol of these establishments. They were looking at reggaeton as emblematic of all the ills and problems of this community." Rivera-Rideau says this moment is significant: Reggaeton has become a worldwide genre, with increasing numbers of pop artists drawing from its sounds. It's a position many wouldn't have ever thought possible for reggaeton back in the 1990s. Isabelia Herrera, music editor of the online Latino culture website Remezcla, says "Despacito" represents an exceptionally visible moment in pop and Latin music. So when Justin Bieber messed up the song's Spanish lyrics at a show in May, tensions in the Latino community grew. "There is this viral video of him singing it in a nightclub in New York and him replacing the lyrics with 'Dorito, burrito,' — all this weird and uncomfortable imagery that is associated with Latinidad," she explains. "I don't care if he messes up the lyrics by accident — it's more about using these tropes and mocking the language itself." Although the song has helped increase media representation of Latinos, Herrera says, she doesn't think it will address the real issues this community is facing. "We continue to tell ourselves these feel-good stories about representing Latinos in music and culture because we are so starved for visibility," she says. "And we use these pop culture moments to celebrate these remarkable feats of how far we've come. But I don't think it changes the political situation of Latinos in the United States." Despite what the song may or may not mean for the visibility of these issues, Jesus Lopez says it is boosting business. "Right now, everybody knocks on our doors to make collaborations with the Latin artists," he says. And after 11 weeks, "Despacito" shows no signs of giving up the No. 1 spot. In an earlier version of this Web story, Rocio Guerrero was mistakenly referred to as "he." Guerrero is a woman.